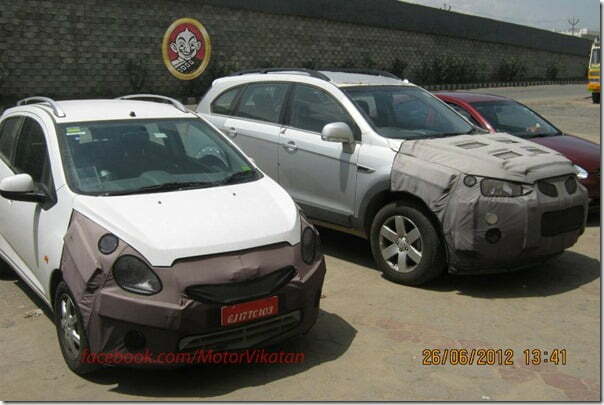 2012 Chevrolet Beat Facelift Ready For Diwali Launch? The auspicious season of Diwali is just around the corner and car makers will be aiming at new customers and in order to lure buyers they are planning something special. Chevrolet, part of General Motors is planning a couple of things for its customers including two major launches of entirely new models and a facelift model. While the new models are Chevrolet Sail U-VA hatchback and Sail sedan, the facelift we are talking about is of 2012 Chevrolet Beat. 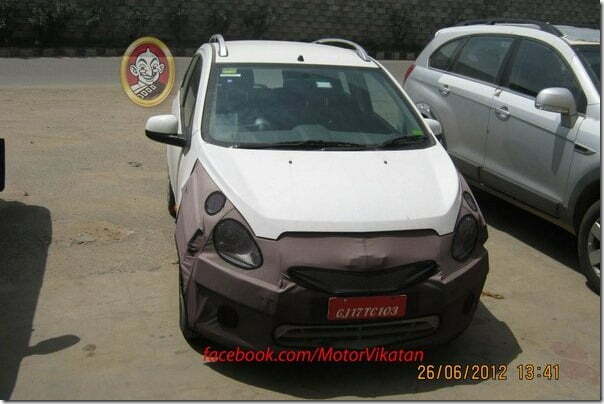 Beat is one of the best selling cars and the facelift model of the same was caught with partial camouflage on the streets on Chennai, lately. Chevrolet is gradually revising its complete line-up, starting with the Optra Magnum, Aveo and Aveo U-VA, the respective productions of which will be stopped by September 2012. Recently the company launched the new Chevrolet Captiva and upgraded Chevrolet Cruze which are again a part of the revision exercise. All these features are similar to what we saw in the new Chevrolet Spark (Beat is known as Spark in International markets) showcased at the New York International Auto Show. The main contenders in the same segment, Ford Figo and Maruti Ritz are also undergoing tests and will definitely come with bodily revisions. So beside GM, Maruti Suzuki and Ford is also working on their respective facelift models and all of them will go head to head against each other at this Diwali. For any manufacturer the season of Diwali is the best time of the year to attract customers and even for the customers it is the best time to avail rare offers. I am sure with the new Beat, Chevrolet will most likely extract some more sales. We will keep you posted on the updates related to the new Chevrolet Beat 2012, stay tuned to Car Blog India.